The latest random profile of one of my friends and how I know them is my pal Andrew Shaw, a prolific football supporter, FA Councillor, property personality and an all round good sort. Me and Andy got off to a great start in my early years as the editor of Insider back in 2000. He was a generous informant and good conduit for intelligence and information in the property world when he ran the Jones Lang LaSalle office in Manchester. He moved to another agency and was always supportive. Though we would get together and talk about business and property, he also had a more colourful hinterland as a keen observer of politics, a parent with shared interest in some of the subtleties of how we bring our lads up. And then there's the football. Football is where we share a particularly anorakish interest. While I like to ground hop and support my team, Andy has also taken his involvement to another level altogether. He joined the board of Altrincham FC about a decade ago, as well as being a massive Manchester City fan, home and away. He's now an FA Council member, looking after non-league clubs, and visiting hundreds of clubs around the country. He served as the chairman of judges in the Insider Property Awards for a few years and added a real flair to the day. 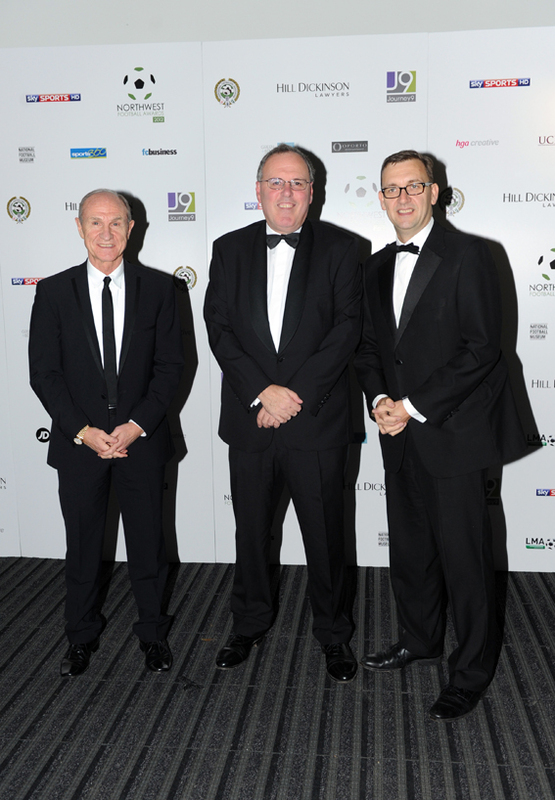 It was a role I was keen to revive for him when he joined me as a judge of the Northwest Football Awards. So, pictured is Andy, with me, and another of his pals from the football world, Dennis Tueart. Now, the glasses I'm wearing (above) are currently in Andy's possession. I left them on our table at the awards and haven't seen them since. He rescued them - he's good like that - and I thought this blogpost might flush him out and get him along to meet me for a quick drink and hand them over. I mean, they're bloody useless without me. Andy is not only great fun, he's incredibly loyal and a very considerate. I'm proud to call him a mate. Great tribute to your friend - and great blog! !